Asian stocks rose modestly on Wednesday, supported by upbeat Wall Street earnings and hopes China’s government spending would boost growth but trade tensions remained in focus ahead of a meeting between the U.S. and European Commission presidents. With the trade spotlight now swinging to Europe, spreadbetters expected the region’s stocks to open lower, with Britain’s FTSE dipping 0.15 percent, Germany’s DAX losing 0.3 percent and France’s CAC shedding 0.15 percent. MSCI’s broadest index of Asia-Pacific shares outside Japan gained 0.2 percent. The index extended the previous day’s gains made after China said it will adopt a more vigorous fiscal policy to cushion the impact of external uncertainties. The Shanghai Composite Index was little changed after brushing a one-month high. It has advanced roughly 3 percent so far this week. Hong Kong’s Hang Seng climbed 0.8 percent. South Korea’s KOSPI lost 0.4 percent and Japan’s Nikkei rose 0.4 percent. Overnight on Wall Street, the S&P 500 closed at its highest level since Feb. 1 as Alphabet’s blowout results bolstered expectations of a robust earnings season. “Gains by U.S. shares are providing support for equities, as well as China’s stimulus plan. Corporate earnings will continue to come out and these will be a key focal point for the markets, which also have to keep an eye on trade developments,” said Soichiro Monji, senior economist at Daiwa SB Investments in Tokyo. On the trade front, focus was on talks between President Donald Trump and European Commission President Jean-Claude Juncker set later on Wednesday, at which trade issues are likely to dominate. In foreign exchange markets, the dollar index against a basket of six major currencies was little changed at 94.568, having edged up from a near two-week low of 94.207 but making little further headway as the rise in U.S. yields stalled. The 10-year Treasury note yield eased to 2.937 percent after climbing to a six-week peak of 2.973 percent overnight. The yield shot up this week on speculation the Bank of Japan was edging closer to unwinding its aggressive monetary stimulus, following reports late last week that the central bank was holding preliminary discussions on possible changes to its monetary policy. The euro was little changed at $1.1680 while the dollar added 0.05 percent to 111.28 yen. The pound was flat at $1.3141, holding gains from the previous day on news that British Prime Minister Theresa May would lead negotiations on the country’s departure from the European Union. The decline in China’s yuan appears to have paused for the time being, with the currency a shade firmer at 6.797 per dollar. It pulled back from a 13-month low of 6.829 set the previous day on expectations that monetary conditions would be allowed to loosen further. The Turkish lira was on the defensive, having sunk more than 3 percent against the dollar on Tuesday after the country’s central bank unexpectedly left interest rates on hold. The central bank’s decision was in focus amid investors’ concern over its perceived lack of independence from Turkish President Tayyip Erdogan. The president is seen wanting lower borrowing costs to fuel economic growth, although the central bank is tasked with combating inflationary pressure. “The markets delivered a decisive verdict on Turkish financial assets, when the central bank desisted from hiking rates despite CPI breaking well above trend and FX reserves plummeting,” wrote Sean Darby, chief global equity strategist at Jefferies. The South African rand, on the other hand, stood tall after surging more than 1 percent on Tuesday on news that China would invest $14.7 billion in the local economy. The Australian dollar fell 0.3 percent to $0.7396 with its rally cut short after data showed that local inflation remained stubbornly low last quarter. 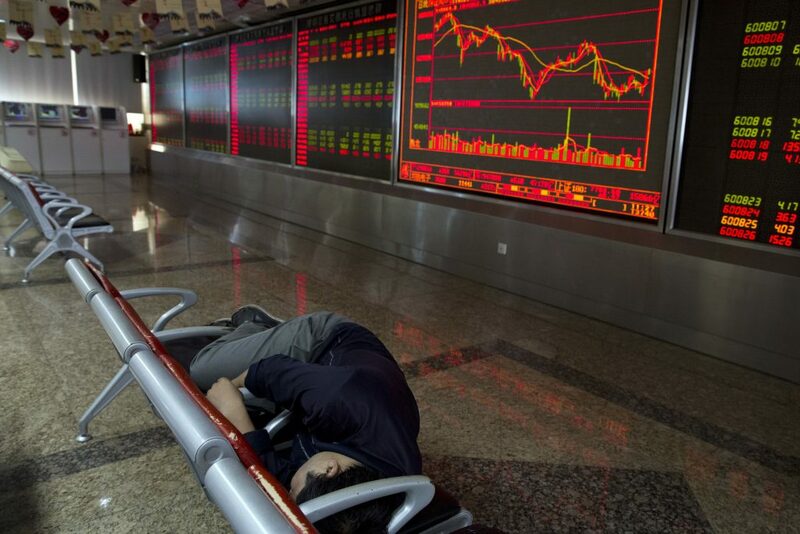 The Aussie had surged 0.5 percent on Tuesday on hopes for China’s stimulus. Brent crude futures were up 0.6 percent at $73.89 a barrel, adding to the previous day’s gains as market focus shifted away from oversupply concerns to the possibility of increasing Chinese demand. Copper on the London Metal Exchange (LME) traded at $6,267.50 per tonne after soaring 2.7 percent overnight to a two-week peak of $6,328.00 on Chinese stimulus hopes. Iron ore on the Dalian Commodity Exchange touched a two-month peak of 479.5 yuan a tonne.